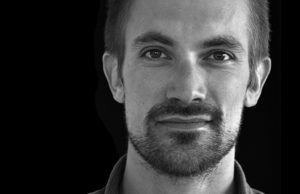 Born in Denmark but raised in Greenland, Emile Hertling Péronard graduated in Film at University of Copenhagen in 2006 and went on to work as a commercial producer and editor for Nordisk Film. In 2009 he launched his own Copenhagen based production company. He debuted as a feature documentary producer in 2014 with the Greenlandic/Danish/Norwegian co-production of “Sumé – The Sound of a Revolution” (Berlinale Panorama 2015) earning an Emerging Filmmaker award at imagineNATIVE Film + Media Arts Festival, and an Emerging Producer 2016 honour at Jihlava International Documentary Film Festival. He is member of the board in the Greenlandic filmmakers association, FILM.GL, co-owns Nuuk-based Anorak Film with director Inuk Silis Høegh, and produces film and video content out of both Denmark and Greenland.